Home Europe How to give a holiday as a Christmas gift? Christmas is almost here and you might be stressing over your Christmas present for the adventurous traveler. Have you considered to give a holiday as a Christmas gift? No? You should! It’s really fun to give and to receive. Read my tips on how to give travel as a present and immortalize yourself as the best present giver. Everrrr! Say what? Giving a free holiday as a gift? Yup, that’s my way of spreading the travel bugs around my family and loved ones. Read why it’s better to give experiences than things, by fastcoexist.com. And there is one thing I almost like better than going on a trip myself. It is to plan a trip! For other people or for people to go with me. Like the time I sent my brother and sister-in-law on a whole arranged weekend to Porto. 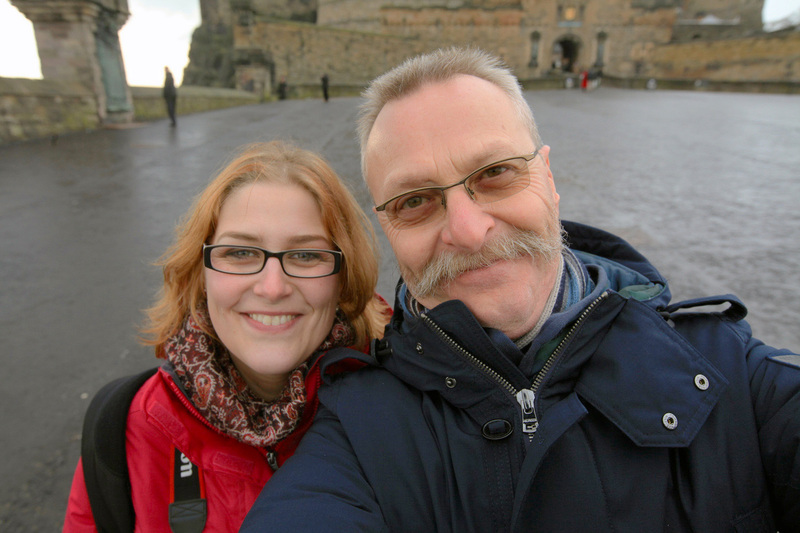 Or that time when I booked plane tickets for me and my dad to go city hopping in Edinburgh and a short weekend-get-a-way to Liverpool. 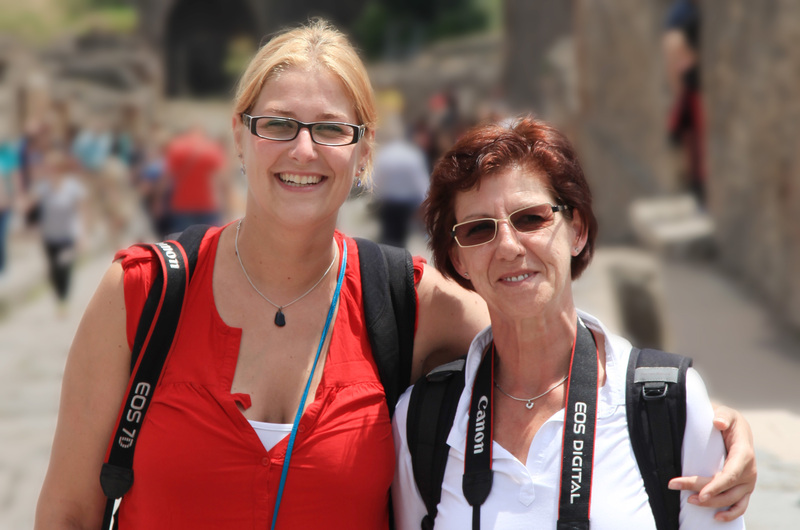 Or when I took my mom on the trip of a lifetime to Rome. It was one Christmas a few years back, when I had a sudden surprise in my bank account and found some ultra-cheap tickets online. I literally couldn’t sleep for 2 nights straight because I was so giddy with myself for the best Christmas present ever that I’d come up with. But it’s not simple to give a holiday as a Christmas gift. There are very important things to consider and I’ll help you through it. So, do you consider to give travel as a Christmas present? And you want to know how to go about it? Read on and you’ll be guaranteed to be remembered as the best Christmas present giver in history. Of course, it sounds all nice to just give a holiday as a Christmas gift, but you have to research the possibilities. What will be the destination? What is your budget? Can they afford to get away for a few days? And how much time will you plan for the trip? Check my travel budget section on the blog. Basically with every gift you give, you must ask yourself: would I love to receive this, or would my friend/ neighbor/ mom like it. It’s not about your favorite destination or your amazing experience. You have to wonder: will they like it? When I looked for a destination for my brother and sister-in-law, I found dead cheap tickets to Krakow. I’d been there and simply loved it. The food, the old vibe and the fact that I couldn’t understand a single Polish word, made me fall in love with the place instantly. But then I thought about my brother. He doesn’t travel that often. And his girlfriend is always cold. Maybe Krakow in January wasn’t such a good idea. 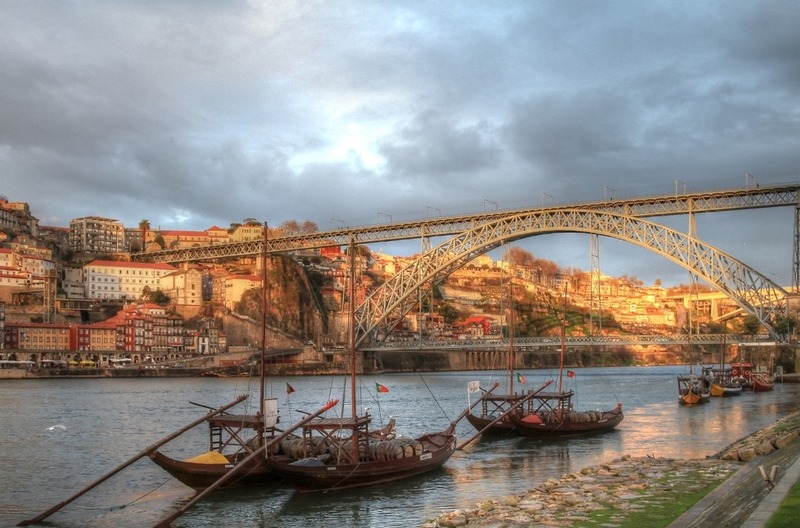 I searched a bit further and found Porto as a destination. With average temperatures in January of 10 degrees (50 Fahrenheit), this seemed a better destination than Poland. 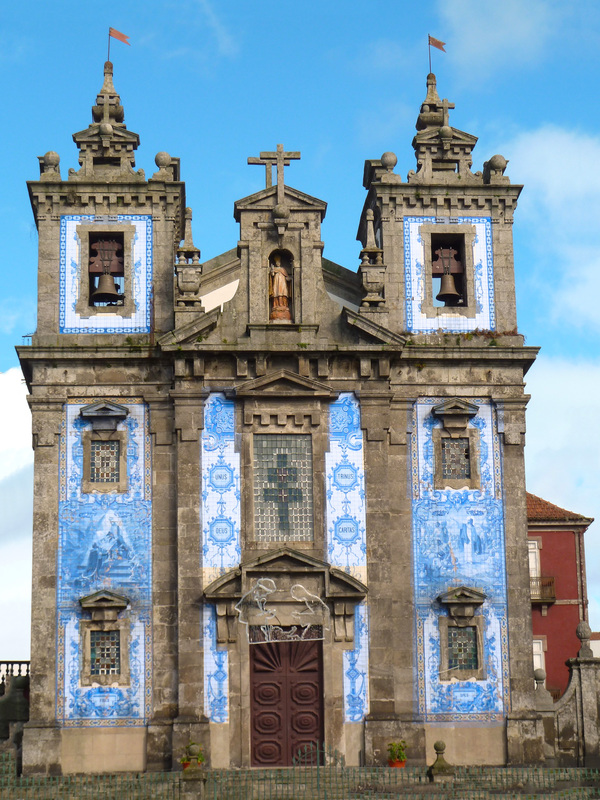 I really wanted to send them to Krakow, but in the end, I though Porto might suit their wishes better. Looking for inspiration? Check my previous post about Christmas markets and why you should go to Dublin in December. Maybe you’re looking for a gift for a train enthusiastic, consider epic train journeys of the world as a Christmas gift. Now, you might think it’s expensive to give a holiday as a Christmas gift. And of course, it can be. You can spend as much money as you’d like on travel as a present, but you don’t have to go broke. Set yourself a budget and keep to it. When I was searching for my present for my dad, I found one-way tickets as cheap as 8 Euros. 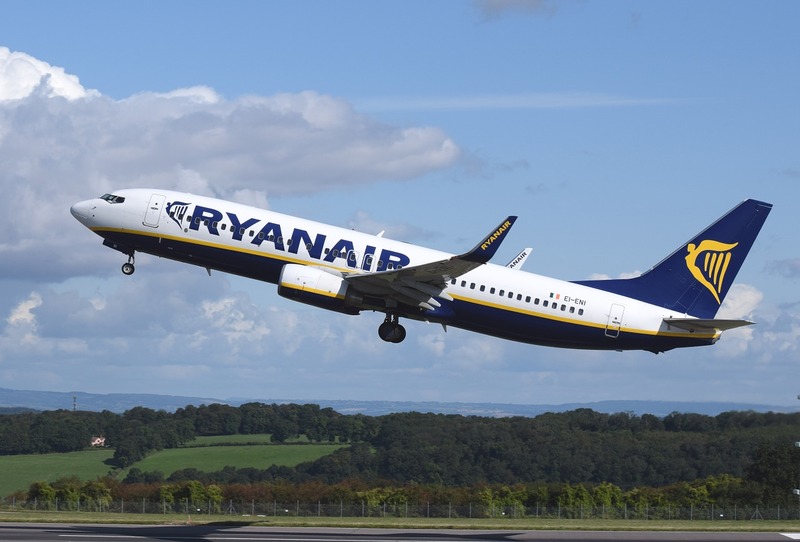 That’s right, 2 return tickets for 24€ with Ryanair, but make sure to check for hidden costs like checked luggage. How to prevent that? Check that you have the right carry-on size luggage. They had a huge pre-Christmas sale and that’s how I booked some really cheap plane tickets. That’s how we ended up on a 3-day trip to Edinburgh. You can’t resist deals like that, right? But it’s not all about the plane ticket. If you give a holiday as a Christmas gift, you have to include a little more. Tickets to London were even cheaper, but to find a decent hotel for a reasonable price was impossible. 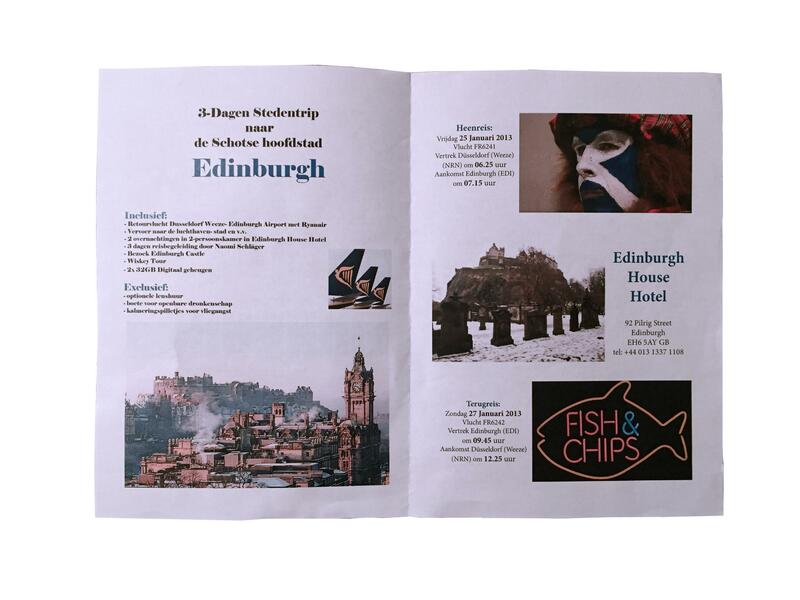 That’s why I decided to take my dad to Edinburgh, because that way, I’d stay on budget and could really give a holiday as a Christmas gift. It’s not all about your budget. Ok, maybe you’re wealthy enough to not only give plane tickets and hotel vouchers. Maybe you have enough budget to also include a big fat envelope with cash as spending money. In my case, I could buy the plane tickets and book a few nights in a hotel. But to really have a good time in a new place, you need to spend some money. The receivers of your gift have to get to the airport. Get from the airport to the hotel. Eat somewhere. And you want them to really explore the place you’ve sent them to. So they will spend some cash on transportation, entree fees or excursions, like a food tour or bike tour. Be sure the receivers of your gift can afford this. In my case, my brother and sister-in-law were having their birthdays around Christmas. Therefor it was easy to include a little extra as a birthday present too. And I arranged for my parents to donate some spending money as their birthday presents. This way, I didn’t sent them on a trip that would make them go broke. Nobody likes a gift like that. When you have loads of money to spend, you can give an all-inclusive top notch around-the-world-in-365-days-trip as a Christmas present. Sure, why not? But when you’re watching your and their budget, you have to check the time frame of your surprise trip. Arranging for a longer holiday can be more expensive than just 1 night in a little hotel. But you do not want to fly them half way across the world for 1 night in Bangkok. Make sure the trip is comfortable and easy. If people do not travel that often, they shouldn’t be rushed and you have to make it as easy for them as possible. Book tickets from the most convenient airport in the neighborhood. Book a hotel close to the center or main attractions. Make sure your gift recipients can depart and arrive at a decent time and give them time to explore the destination. Ok, so were getting there. You have settled on a destination and you’ve checked the finances of your plans. Great! Now it’s time for action. You need to book the tickets, arrange for hotels and sort out some other important stuff. This is the most nerve racking thing to do, because once you hit “confirm”, there is no way back. I must have entered and erased all the data for the plane tickets 3 times over, because I was so nervous whether or not people would like my gifts. But this is really important, do I have your attention? 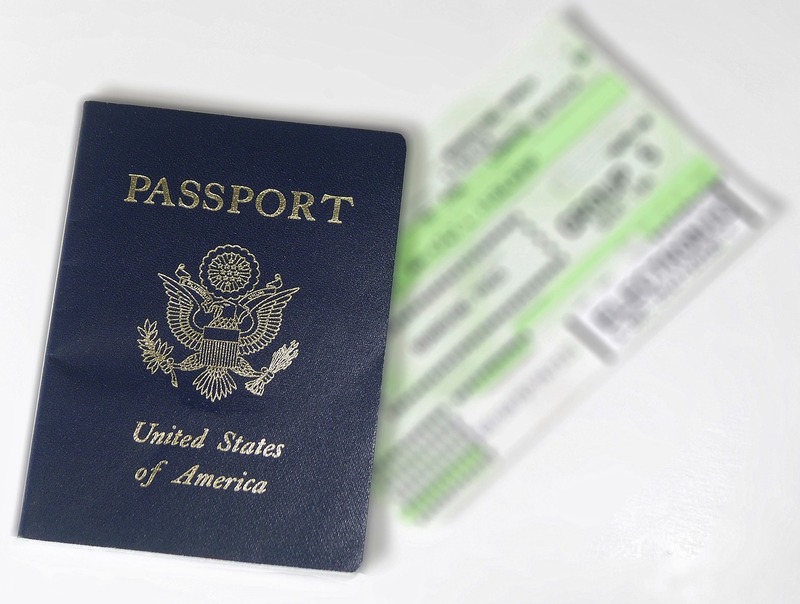 Make sure you have the correct data when booking a plane ticket as a gift for someone else! By data I mean the full name as in the passport and the date of birth. Once you book a plane ticket, there is usually a huge fee to change the name of the passengers or it’s not possible at all. Maybe you’re best friend’s name is Sam, but his passport actually says Samuel. Or you can’t remember your grandmother’s maiden name. Seriously you guys- this is really important. Besides the hassle and costs of changing these details, you do not want pointed out that you do not know these important things about them. Such a let-down. But how to make sure you have the correct data? It’s easy when you want to give a holiday as a Christmas gift to your husband. Just take a sneak peak inside the passport. But when the travel documents aren’t available, you have to come up with another plan. I simply asked my mom to send me a photo of my dad’s passport. And I flat out lied to my brother to get his information. I said I’d gotten a new passport and showed it via Whats App. I asked him what his passport looked like and he send a screenshot of the passport right over. Thank you! For myself, I easily stay in a 6-bed mixed dorm. As long as it’s cheap, I do not care that much. But other people might not like hostels that much. If you send your grandparents away as a gift for their 50th wedding anniversary, you want them to stay some place nice, accessible and romantic. Make sure the hotel has good reviews and the bed-and-breakfast doesn’t serve crappy food. Research before you book, for example via booking.com or tripadvisor. For my brother’s trip to Porto, I knew the hotel had to be comfortable. As he’s almost 6ft7 tall, I booked a boutique hotel with extra-large beds. It was a bit of a gamble as the hotel didn’t have many reviews. But when I received the confirmation with “extra-long bed” in the comment section, I knew it would be a hit. I knew he’d sleep comfortable in Porto. Curious where I’d sent them, check the guest house Faria Guimares in Porto center. Read more: Most Festive European Hotels to spend Christmas. Now you have to free the calendar. It’s great that you want to send your parents away on a romantic Valentine’s weekend, but they might already have plans of their own. Make sure you know the important appointments coming up. Can they get off work easy? Do they have to apply for vacation time 6 weeks in advance? Do they have other engagements like the big game coming up or weekly choir practice? For the Christmas present to my brother I called my sister-in-law and asked her if they had any plans 2 weeks after Christmas. Nop, great! Keep it that way. Another problem crossed of my list. I was dead nervous but I also called my brother’s boss and asked him for some days off from work. Scariest thing ever! But who says “no” to such a brilliant plan? Not my brother’s boss at least. I also made sure to keep my own schedule free, as I would watch my nephews when their mother would go to Porto. The trip to Rome as a gift to my mom was a little further away, so I counted on her to arrange her own schedule to be free by the time I’d plan to go. Do you consider to give a holiday as a Christmas gift to your girlfriend? Make sure you arrange for someone to look after her pet or plants! You can always try housesitting if you plan on longer travels. A holiday is an abstract thing. Like these gifts for travelers. 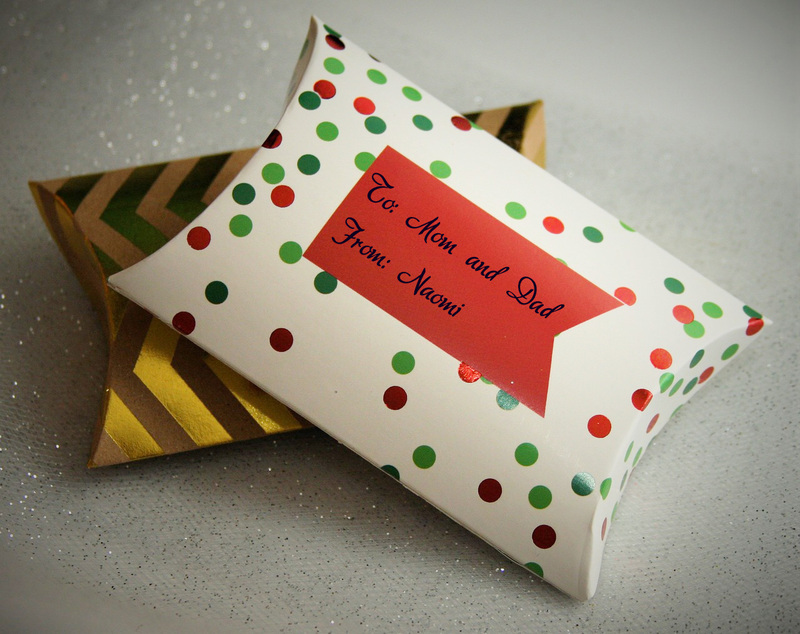 When I think of a Christmas present, I think of carefully wrapped boxes with a bow on it and some nice gift tags that you can put under the Christmas tree! But there is no fun in just announcing: “hey you guys, I booked you a plane ticket and you’re going on a holiday!” Huh? What? No, that’s not the way to go about it. Make something of it. These days, you do not get actually airline tickets anymore. But you can make some fake tickets and put them in a fancy envelope. Make sure the recipients of your gift understand what they are getting. 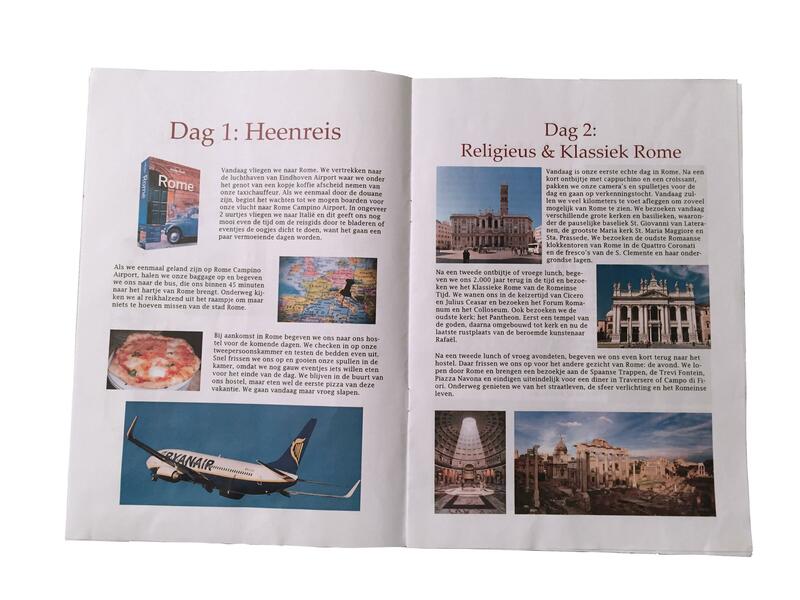 I worked really hard on my gift for my mom and I made a multiple page little booklet with all things about Rome. 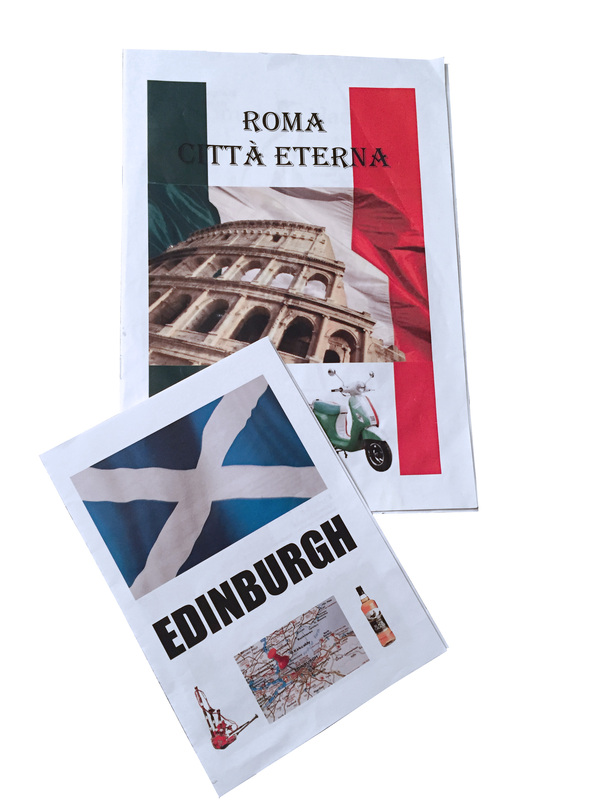 I included my proposed itinerary to get her in the mood and made a page with things that were included like our Panoramic Bike Tour of Rome. Just like those travel companies do. It was really hard work but it was such a nice document. Which I found out, she still kept! To my dad, I gave a simple photo frame. I printed a picture of Edinburgh and framed it. You should have seen the look on his face. “Owkheyyy… a standard photo frame? Where is that picture taken?” was his first response. I putt a little side note with it, to open up the picture frame and there were our tickets for a weekend to Edinburgh. Surprise! 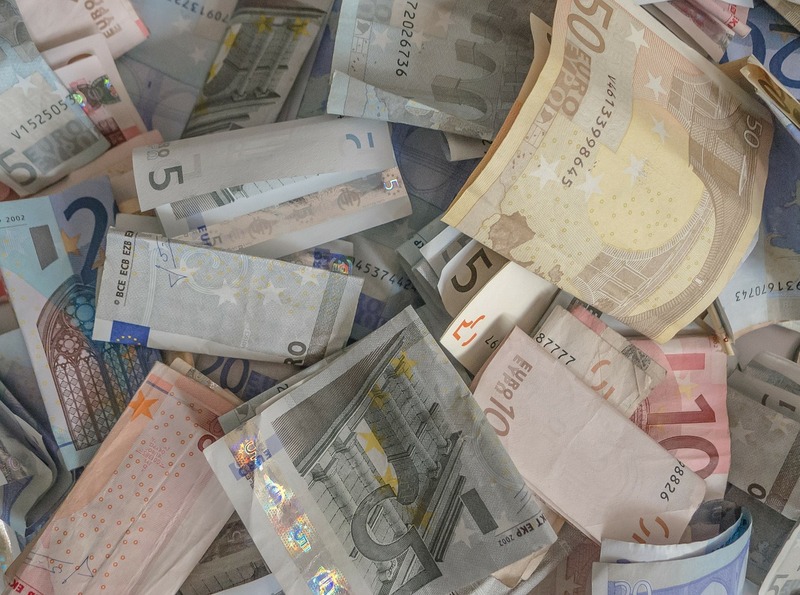 If you send your loved ones abroad to a country with a different currency, you could exchange some money. Add a 20 pound note with your gift if you’re sending them to London or Liverpool. Or give a little Spanish dictionary if they are travelling to Andalusia Spain. I included an empty picture frame and asked them to add a photo of their trip afterwards. After the excitement of the first reactions have settled, make sure to manage the expectations. Explain what is and what isn’t included. Do they need to arrange and pay for their own visa? Do they expect 5 nights in a 5 star hotel with infinity pool? Please explain them you’ve booked 3 nights in a cozy bed-and-breakfast. Make sure to illustrate what the trip will be like and warn them for any dangers or problems. Time is ticking. You’re getting desperate as you still haven’t found a gift for the traveler in your life. If you can’t give an actual vacation, or funds are very limited, you can always consider to give a tour as a gift. There are great tour companies out there that offer all kinds of tours in a million different locations. There is always something for your budget. So, is your sister planning to backpack through Europe next summer? Or will your best friend plan a road trip to New York? No worries, they have you covered with a ton of brilliant ideas and things to do. From hop on hop off bus tickets, to food tours and entrance tickets. At this moment in time, I hardly give any store bought presents anymore. Mothers day? Not doing. Birthdays? I’ll take you on a trip. Christmas gifts: maybe but I love to give travel as a present! So are you all excited? Do you want to give a holiday as a Christmas gift to your loved ones? Don’t hesitate! With my above mentioned tips, you’ll do just fine. Have you ever given travel as a present? Please share your ideas or questions below, I’ll be happy to help prepare your trip. This post contains affiliate links. If you decide to book through my links I will earn a small commission at no extra cost for you. Great post!! I once treated my boyfriend to a trip to Athens as he loves Greek mythology, but I was so worried about all the logistics and how much I could actually provide, etc! So all your tips are really useful.